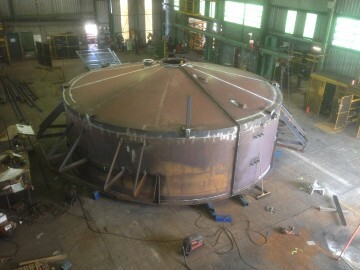 DWW Engineering has fabricated 1 off new 190,000 ltr Lime Saturator Tank to be used in the upgrade to Landers Shute Water Treatment Facility. 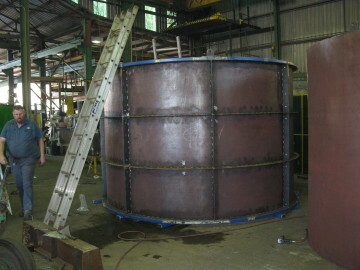 Due to it’s large size, the tank was fabricated in two halves to allow for transportation to the painters and to site. 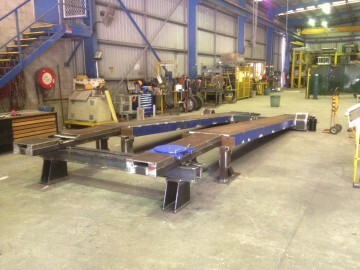 This itself created a large fabrication challenge in ensuring that the 2 halves marry perfectly during fabrication and more importantly after welding. 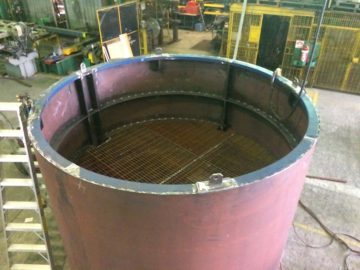 All welding was carried out to 1554.1 SP to approved procedures and qualifications with a high level of magnetic particle and ultrasonic NDE inspection. The client provided requirements of various sizes and weights for prime movers. 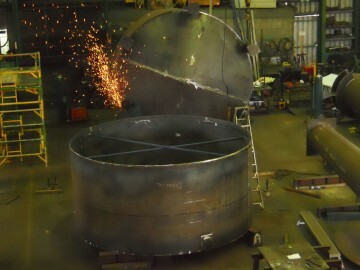 DWW supplied 6 off new 50,000 Litre Storage Tanks, 2 off 35,000 Litre Batch Tanks and a 35,000 Litre Blend Kettle to an existing oil processing facility. 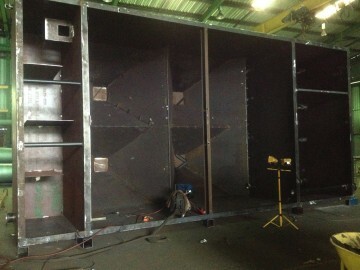 This was a difficult fabrication with a part rectangular and part tapered design all fabricated to client supplied drawings.